miSci - Mannix Marketing, Inc.
Albany.com advertising helps miSci reach highest single-day attendance in the museum's history! The museum of innovation and science, miSci is widely recognized as the Capital Region’s Premier Science Center and Museum for families and children. miSci is home to an extensive Archive and Collection, a Challenger Learning Center, the Dudley Observatory, the Suits-Bueche Planetarium, and various special exhibits and programs each year. They reached out to Albany.com and Mannix Marketing to help increase awareness of the museum, increase web traffic, overall attendance and revenue to support the Museum’s mission and programs. 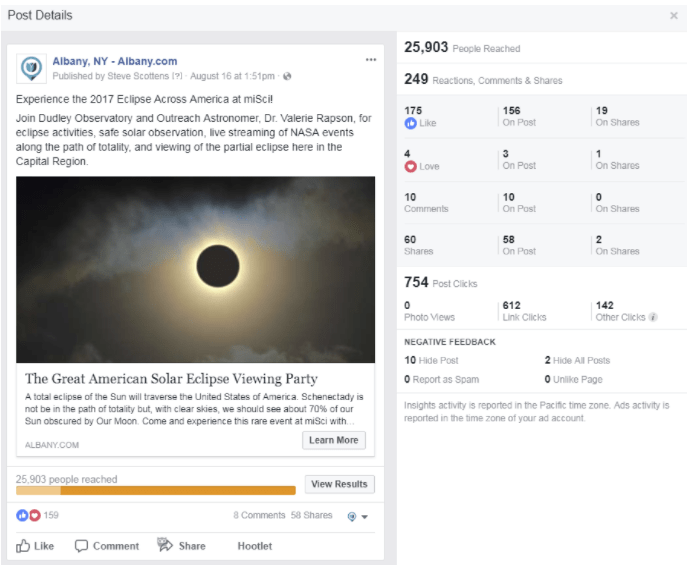 How did Albany.com increase their attendance by 3x and revenue nearly 300% and increase website visits?